Our Rome travel guide for unforgettable holidays up to -70% off To take advantage of these offers, join now for free! 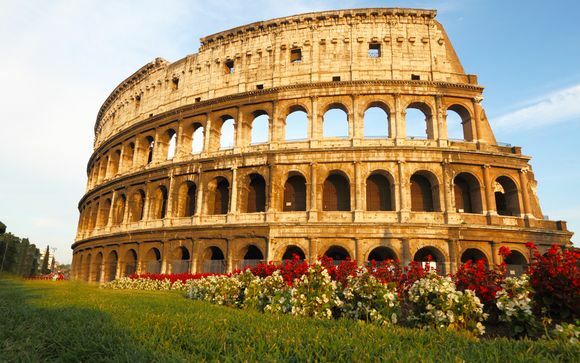 Discover the Best Information for unforgettable holidays to Rome. Advices, tips, best locations, itinerary and more. 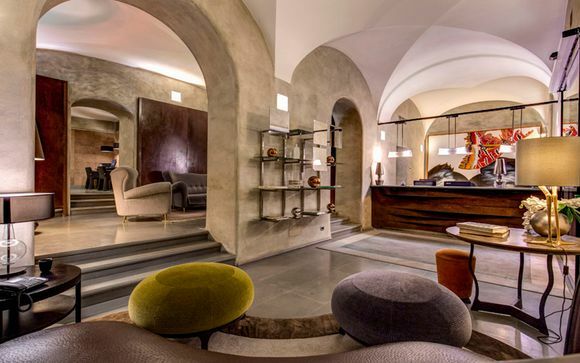 Find the ultimate Rome Travel Guide. Rome is widely known as the Eternal City, a mixture of old neo-classicism and modernity. Rome proudly flaunts its reputation as the Papal city and continues to evolve as an ancient city full of culture and history. The city boasts romantic ancient ruins and architecture that attracts millions of tourists each year and the bustling streets fill tourists with excitement and endless possibilities. In spite of this, a trip to the Eternal City could end up being confusing to new visitors if they choose not to plan ahead. 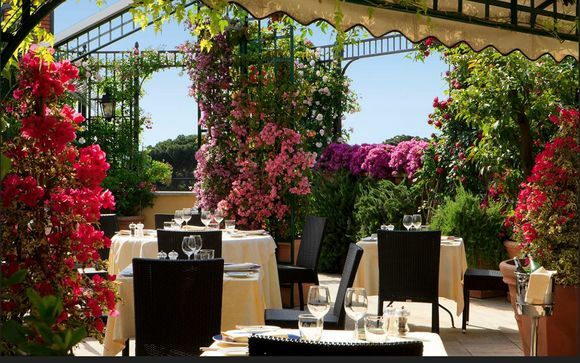 Visit Rome and feel the dolce vita, the italian way of life. Rome is a larger than life city with numerous sites and tourist attractions to feast your eyes on, particularly if you’re a history buff. 1. Colosseum – a three-tiered Roman amphitheatre. Guided tours available. 2. Castel Sant’Angelo – a circular, 2nd century castle that houses furniture and painting collections in a range of Renaissance apartments. The Castel was featured in Dan Brown’s Angels and Demons. 3. Pantheon – built circa 118 to 125AD, this iconic temple is home to a number of Renaissance tombs, including that of the famous artist Raphael. 4. Vatican (and the Vatican Museum) – home to the Papal palace and the heart of pilgrimage. 5. 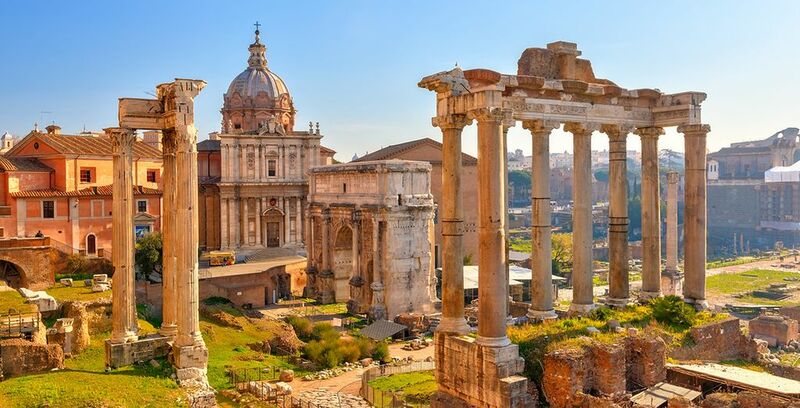 Roman Forum – a vast, excavated area of temples, piazzas and buildings, dating back 2000 years. 6. St Peter’s Basilica – a stunning late-Renaissance church constructed by architects including the famous Michaelangelo. St Peter’s Basilica can hold up to 20,000 worshippers at any one time. 7. Spanish Steps – irregularly designed on behalf of a French diplomat in the 18th century, the steps are an iconic baroque stairway and meeting place. 8. Trevi Fountain – designed by Salvi and completed in 1762, the fountain hosts a number of sculpted figures and invites tourists to throw a coin in to ensure their return to the city. 9. Piazza Navona – an elegant square that dates back to the 1st century AD. 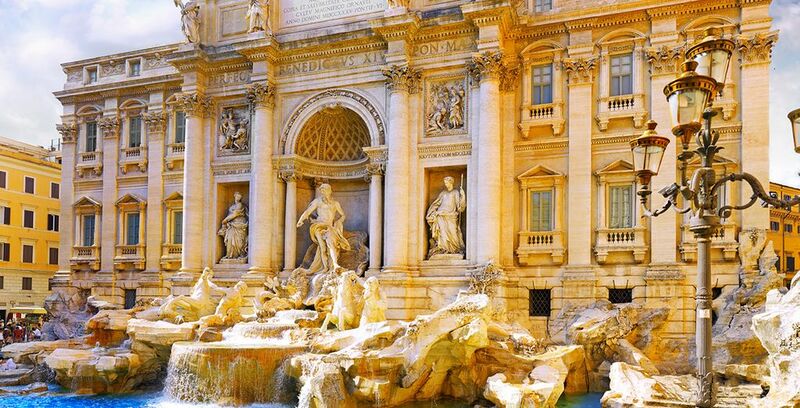 It is home to the Trevi Fountain, street artists and a number of modern bars and restaurants. The heart of the city. 10. Sistine Chapel – the most famous chapel within the Vatican museums, renowned for Michaelangelo’s painted ceilings. It’s fair to say that there’s not really a bad time to visit Rome, although peak-travel periods make for larger waiting times and busier crowds. Peak travel begins in May and ends around September, whilst crowds appear in the hotter months of July and August. August also happens to be the month when locals take their own holidays meaning that businesses and restaurants close whilst they are away. If you’re looking for warmer weather without the throngs of people then the ideal time to visit is in the months of May or September, where crowds have thinned, and humidity has lessened. 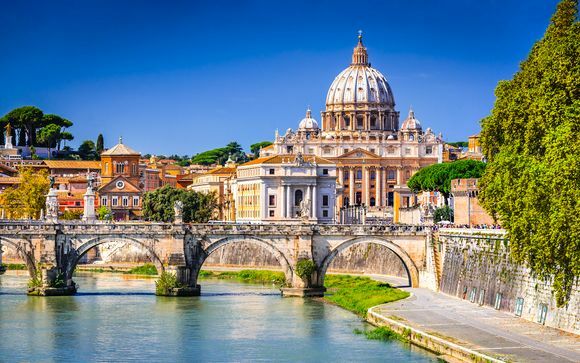 When travelling to Rome, the obvious mode of transport is by plane – there are two airports closely situated to Rome, Fiumicino and Ciampino, although Fiumicino Airport is better connected to the city centre. Airport authorities have a fixed rate of 48 euros for a taxi from the airport to destinations in Rome city centre, so bear this in mind if you’re onward journey is by taxi. If you’re travelling from within Europe, high-speed trains to Rome are frequent and can be cheap if booked in advance. Visitors from the EU should expect to travel with their passport or identification card whilst those from further afield should have the correct visa in place. In Rome you can easily use public transport and the underground. You will find maps in the Airport or don't hesitate to askthe locals for information. In order to fully experience the hustle and bustle of this beautiful city, staying on the city’s doorstep is highly recommended. 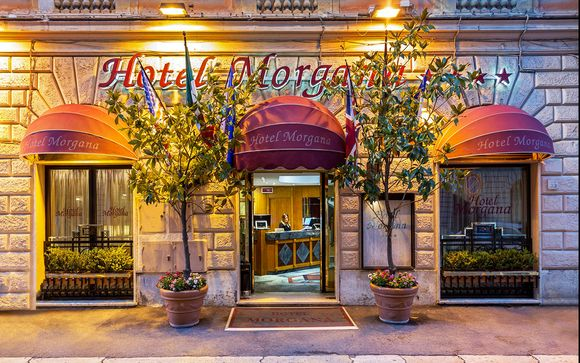 Confining yourself to hotels that are situated between the Tiber River and the Termini Station will ensure you’re in a prime location. - the Settimana Santa and Pasqua festival of Holy Week, where pilgrims and tourists alike flood into the city to celebrate the feast of Easter. Locals feast upon picnics of Roman specialities on Easter Monday (Pasquetta). Rome is recognised as a major Christian pilgrimage by people from all over the world and is home to the seat of the papacy, the Vatican City. One of the most poignant things about travelling in Italy is the breadth of culinary offerings available to tourists. There are a number of foods that are available to eat in Rome that you’ll struggle to find elsewhere. Notable Roman dishes include Pizza Bianco, pizza made using focaccia style bread (available in most Roman bakeries); fritti, which refers to a number of different dishes, including but not limited to baccala (cod), fiori di zucca (aubergine flowers) and supplì, which are fried risotto rice balls. Another regional dish is the prestigious Carbonara, with a number of restaurants claiming ownership of the title of best carbonara in Rome. While Italians pride themselves on being fashionable, you need to ensure that you’re culturally aware by dressing appropriately. If you’re interested in visiting tourist sites and plan on spending time in the Vatican, you should opt for more conservative clothing. It’s important to cover up your knees and shoulders, so an airy dress that falls below the knees or trousers are the most suitable choices. A light layer, such as a cardigan or linen jacket should be kept in your bag, to throw over your shoulders upon entering tourist sites. What time difference does Rome have? Rome is situated in Western Europe and is situated within the CET timezone – UTC+1 hour. An exciting aspect of travelling abroad is definitely returning with souvenirs to remember your stay there. It’s often found with souvenirs that the more unusual, the better, and it’s fair to say that Rome is rich with authentic Italian souvenirs. Italy has a strong tradition of painted ceramics, with both traditional and modern pieces available for purchase. Piazza Navana is host to a number of stores that sell beautiful ceramics created by famous local artists. Italy is famous for its fashion, so another possible souvenir would be a bespoke piece that would forever remind you of your trip. You will find plenty of fashionable outlet at affordable price in the via del Corso, via Tuscolana, via di Campo Marzio, via del Pellegrino and more in the Monti quarter. Rome (and Italy) uses the Euro as its currency. Whilst traveller's checks were an ideal way of budgeting for a trip, they really are a thing of the past and you will struggle to find places to exchange them. Italy has a principally cash-based economy, so while merchants may well accept credit cards and VISA, fees are high and American Express is rarely accepted. If you have an ATM card, the safest thing to do is to carry a small amount of money and withdraw from bank ATMs as and when you need cash. What language is spoken in Rome? Whilst Rome’s original language for communicating was Latin, there’s no need to pull out your Latin textbooks to brush up on your conjugations. The Romans have been speaking Italian since the Middle Ages, although people within the city could speak a local dialect alongside traditional Italian. If your Italian isn’t up to scratch, again, don’t worry, as a large number of people within the city speak English. However, attempting to speak Italian to the locals will definitely put you in good stead. A simple ‘ciao’ or a courteous ‘grazie’ will always go down well. A key thing to keep in mind for packing for Rome is definitely the weathe. Even if you’re planning on dressing conservatively to visit places of worship, the weather in Rome, particularly in the summer months, can be especially hot. Packing light is key, as is carefully considering the materials of the clothing you choose to bring. Light cloth and linen is ideal for hotter days, while jeans and longer trousers might end up being stifling. Whilst mosquitoes don’t tend to be a massive problem in Rome, it’s always best to be safe and pack repellent. Due to Rome’s vast size and the nature of the tourist attractions' distance from one another, you can easily explore Rome and see most of the things of interest in a few days. 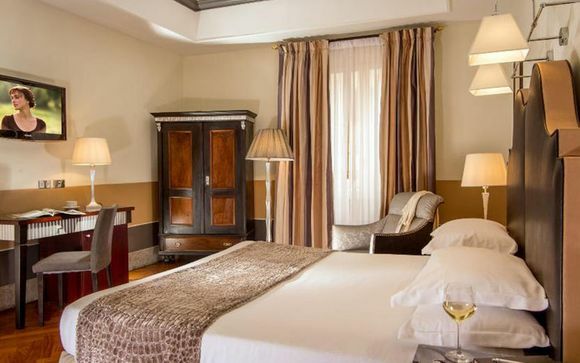 However, this will probably feel quite rushed, particularly when you consider the excellent day trips outside of central Rome that are on offer to visitors. Even spending a week in the city will leave you with plenty to do, so how long you choose to stay here is a purely personal choice. Ensuring that you come up with an itinerary and stick to it is key to having a fulfilling and propitious trip. How to travel to Rome with your pet? For some people, a family holiday isn’t complete without the company of their beloved pet so going away without them just isn’t an option. If you’re looking to take your pet with you to Rome, you need to make sure you follow a few simple rules. Pets, whether they be dogs, cats or ferrets, must be issued with their own Pet Passport and be up to date with vaccinations, particularly for rabies. Rabies vaccinations should be administered at least 21 days before entering Italy and pets whose owners have failed to vaccinate them against rabies will not be allowed to enter the country. Pets should also be microchipped with the appropriate chip. With the correct paperwork, your pet should not need to stay in quarantine during your stay in Italy. When travelling with children, particularly younger children, it’s hard to find activities that engage both kids and adults. Not to be missed in Rome is the opportunity to make your own Roman Pizza, allowing children and adults alike to get stuck in and eat their handiwork afterwards. 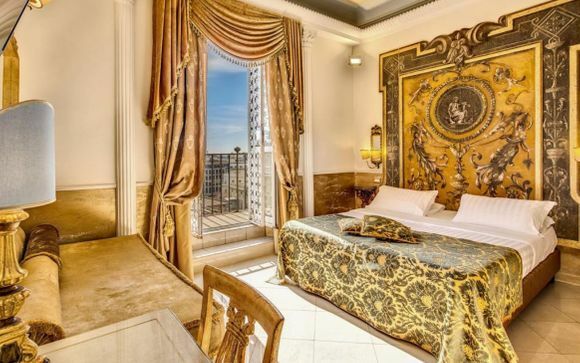 Rome is renowned for its luscious green spaces, with Villa Borghesa, the Roman equivalent of New York’s Central Park, playing host to a number of child-friendly attractions. Inside the park is Bioparco, Rome’s zoo, home to around 1300 animals of 200 different species. Also inside the park is the Giardino del Lago, where visitors can hire paddle boats. those with slightly darker ambitions, an intriguing visit to consider is a trip to Rome’s catacombs - full of skeletons and particularly spooky, the subterranean tunnels host thousands of buried Popes, Saints and martyrs, and consist of around 300km worth of burial grounds. Rome: What budget to plan? 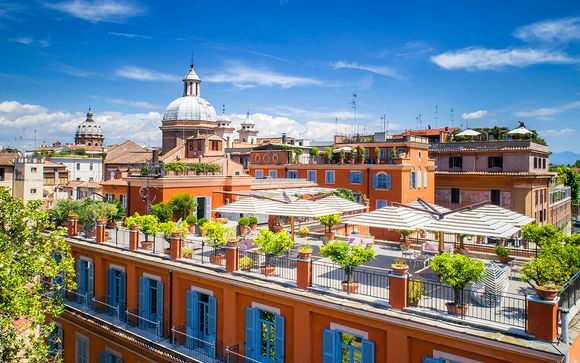 Rome, like most large cities, is quite expensive, so keeping an eye on your spending is key to sticking to an affordable budget. Planning ahead is recommended, particularly if your budget is tight. Italy is known for its incredibly versatile and delicious cuisine but tourist traps around sites are overpriced. Do your research before travelling to ensure that you get good quality food at a reasonable price. 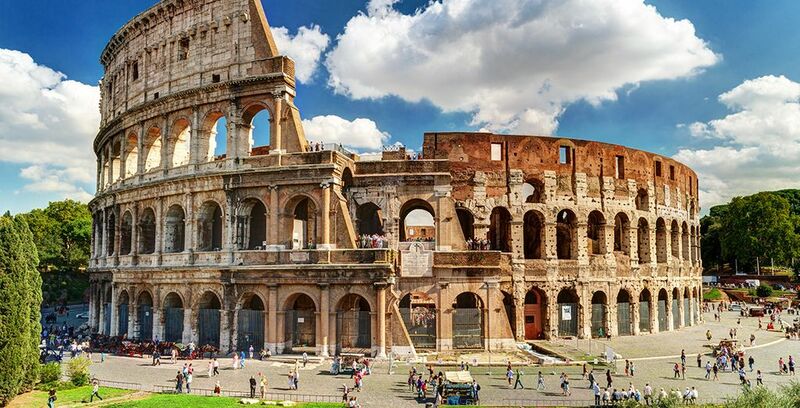 There are a number of passes available that you can purchase to cut the costs over the course of your trip – the Roma Pass is well priced at 38 euros and allows entry into two museums of your choice as well as the use of Rome’s public transport system. 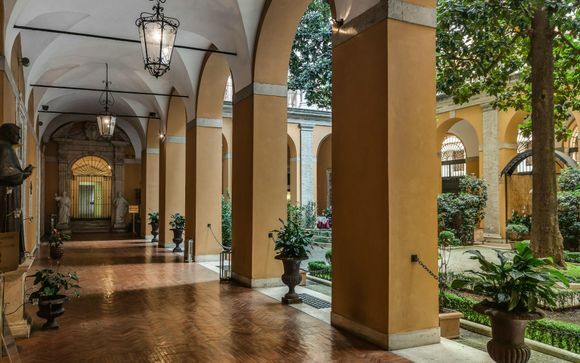 Admission to museums in Rome can be expensive so booking museums ahead of time and ensuring that you take advantage of free entry can be particularly advantageous. Taking the time to find local supermarkets to buy basics – water, bread, and cheese, for example - is a simple yet effective way of stretching your budget further. As tempting and practical as it may be to buy water from local vendors, such purchases are especially overpriced and damaging to more frugal budgets. Ancient Rome was built upon seven hills, five of which are still a part of modern Rome and home to some popular tourist attractions. Although it might not be obvious, the city hall is located on Capitoline Hill, which stood tall and resisted capture in 390BC. It wasn't only this elevated location that ensured the survival of the city, but its immediate access to the River Tiber as well. 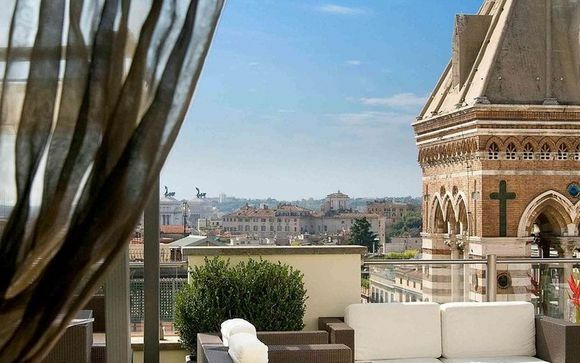 Once a life source for Roman citizens, it now boasts a great deal of natural beauty in the midst of a bustling capital. As the longest river in Italy, it’s worth stopping to admire the twinkling city lights on its surface. For a more dramatic escape from towering buildings, the botanical gardens offer an impressive selection of local and exotic fauna and flora. But it seems that no city is really complete without its resident cats and, in the midst of crumbling ruins, you can watch these felines bask in the sun by the Colosseum or in the open air Torre Argentina Sanctuary. 1. Romans are relaxed in their outlook on life and try not to take themselves too seriously. 2. Fashion is particularly important to Italians. 3. Rome uses 2-pin European plug sockets, so make sure you pack the correct adaptor! Discover our unique offers to Rome: holidays to Rome, romantic weekends in Rome, last minute holidays to Rome, city break to Rome. Discover our holiday deals to Italy: holidays to Italy, last minute deals to Italy, weekends in Italy, tours of Italy, ski holidays in Italy. Visit this page to discover more travel guides.